Only the "cutest" cute birthday wishes can be found on this page. That means just the cute birthday messages approved by the world's leading "cuteologists" are here. Well, not really, but my daughter assures me that I've never written cuter birthday greetings. Of course, picking cute birthday messages is not always a sweet experience, especially when you can't decide how "cute" you want to go. If you want to choose the right cute birthday greeting, simply read Message Guy Tip #81 for a treasury of helpful hints. Happy birthday, sweetheart! I love to the ends of the earth, moon and sun...and back. Happy birthday, my little smurf. The best part of your birthday is not the birthday cake or ice cream — it's the hug I get to give you! Happy birthday, munchkin. You're so gooey with a crunchy chocolate outside, crispy, nutty edge and and sweet, soft caramel center. Happy birthday, smiley face. Your smile makes my day, every day of the year. 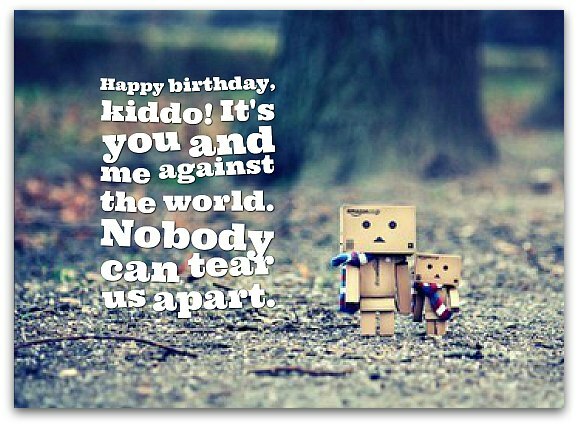 On your birthday, I'm going to make your smile bigger than the biggest smiley face in the world. Your birthday is not about filling our stomachs with cake and ice cream — it's about filling up your day with hugs and kisses. Happy birthday! Happy birthday, darling! You're the moonbeam on my shoulder, the sunshine in my heart and the stardust in my eyes. Happy birthday, yummy baby. You're the scrumdelicious icing on my birthday cake. Happy birthday, sweet cakes. You're the chocolicious cookie in my birthday ice cream. Happy birthday, my huggy bear! Get ready, I'm about to give you the huggiest bear hug in the world. Happy birthday, honey bun. I don't need it to be your special day to give you a hug. I like giving you hugs for no reason at all. Happy birthday, my little monster. You don't scare me. You're too adorable. I just want to kiss your spooky, little face. Happy birthday, smiley face. When I'm feeling sad, your words of wisdom always come to mind: "If you ever lose your smile, you know where to find it. It's always right under your nose. Happy birthday to my scrumdelicious chunkymunky. You're more tasty than a cookies 'n' cream panda pocky. Happy birthday, my little mermaid. At first, I thought it was a little fishy you were so kind. Now I know I'm gillty of pessimism...any fin is possible with a mermaid. 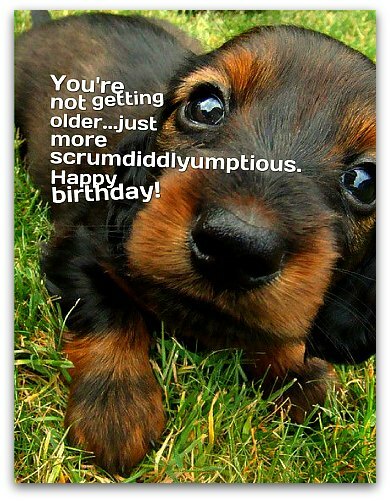 You're not getting older...just more scrumdiddlyumptious. Happy birthday, my cupcake! Happy birthday, love bunny. I'm so happy you exist. Now I have someone to smother with my hugs and kisses. Happy birthday, muppy puppy. I heart you more today than yesterday but not as much as I will heart you tomorrow. Happy birthday, pudding pie! I think I love you more than a piece of chocolate cake (maybe even two pieces, definitely three on a good day).